A Department of Veterans’ Affairs hospital on Long Island was forced to close its five operating rooms after air ducts began to emit sand-size black particles. The air ducts are part of the Northport Veterans Affairs Medical Center’s HVAC system, which provides heating, ventilating, and air conditioning and therefore controls air quality and helps mitigate germ transmission. An environmental analysis of the air quality at the Northport hospital by Environmental Analysis Associates, a San Diego firm that specializes in the identification of indoor air-quality problems associated with dust contamination, found that the particulates came from oxidizing metal and crumbling concrete in the building’s duct system, which was built in the early 1970s. The report … linked the operating room contaminants to Northport’s decaying building. The kinds of particles deposited in the operating rooms were "typically associated with galvanized duct corrosion and metal piping/fittings," the report said. It also mentioned that "low concentrations of fiberglass fibers"–irritants to the skin, eyes and upper respiratory tract–were detected. Additionally, the report found evidence of a type of mold called Cladosporium that can grow inside in the presence of moisture. The operating rooms have been shuttered since February, though some were briefly reopened in April before being closed again when the particles returned. The director of the medical center, Philip Moschitta, told the Times that patients undergoing surgical treatment have been referred to nearby hospital facilities, such as Stony Brook University Hospital, which is about 30 minutes away. The Northport VA hospital serves approximately 18,000 patients annually. Moschitta said he hopes to improve the conditions by installing high-efficiency particulate air filters in the operation room vents. An email sent by an engineer and safety officer at the facility to administrators shed light on concerns regarding "dust" depositing in the hospital. "The dust is depositing on HVAC registers, ceilings, walls, and on medical equipment," the April email obtained by the Times stated. "Maintenance continues to clean the surfaces but, as the staff has observed, the dust reappears within a short time. At least three staff members have indicated their concern that this environment has affected them. They have been to employee health and to their individual physicians." A combined assessment of the Northport Veterans Affairs Medical Center released by the VA inspector general last August found that the hospital "did not maintain safe ventilation, temperature, and humidity levels in inpatient care areas," in addition to other shortcomings. The VA’s entire network of hospitals has been heavily scrutinized since 2014 when it was revealed that staffers in Phoenix used secret waiting lists to conceal veterans’ long waits for care. Dozens of veterans are said to have died waiting for care. VA facilities are largely old and in need of repair. 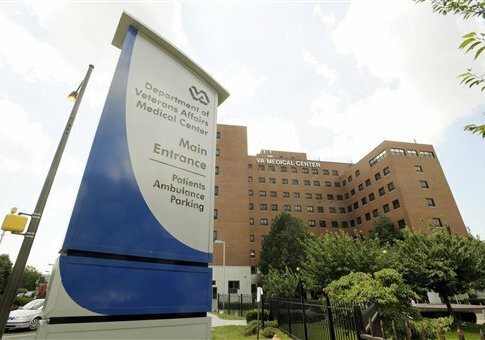 According to an independent assessment prepared for the Department of Veterans’ Affairs last year, the average VA hospital building is 50 years old, which is five times as old as the average not-for-profit hospital building in the country. "Despite an ever-increasing budget, the VA has failed to address the systemic problems plaguing delivery of care to veterans. Whether it is employees manipulating wait times or, in this case, poor facilities leading to cancelled appointments, the VA continues to undermine the public’s trust in its ability to provide timely care to veterans across the nation," said John Cooper, a spokesman for Concerned Veterans for America, a group advocating for reform at the VA.
"The Northport example highlights a simple truth: all veterans should have the ability to choose where they get their care so they are not placed at the mercy of a VA that continues to fail so many of them."